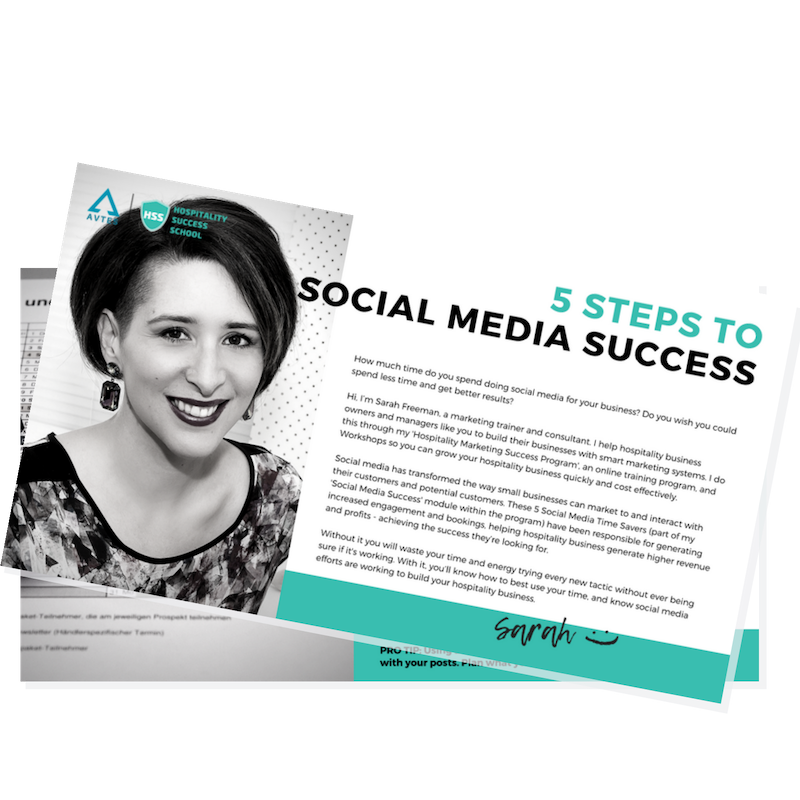 Discover the 5 Steps To Social Media Success for your Hospitality Business! Discover my #1 time saving hack that will save you hours on social media, and its FREE! Learn which platforms you should be using so you save time and money with focus. Know what's working so that you can see the real results of social media efforts for your business.